I grew up in church where prayer was regularly great oratory. I now believe prayer is a conversation. Being in the moment and nothing else makes it more meditation. To me, this makes it a mystical experience. Yes indeed Tom, for me it is quite mystical as well. Thanks for reading and commenting. These are concepts that go against the grain of much of our common understanding of prayer, and are challenging to digest. The GREAT oratory I heard so often in church. I now believe was blasphemy. God wants to hear from our hearts. He does not need our minds. So thinking we need to be smart enough to impress God to get what we’re talking to him about goes entirely against a God that loves us so much that he would surrender himself to a lowly life and die on a cross. This is a beautiful mini-treatise on prayer that deserves careful meditative reading. I am finding of late that requests are not necessary when what I need is already mine. Like in Psalm 23: “The Lord is my shepherd. I shall not want”. Awesome clarity on a difficult topic, my friend! Thanks so much Paul, these are indeed deep waters! Jesus actually did exist as a man. That is not disputed. I believe you are saying that the Son of God made man did not exist. No, I mean he never existed at all. Not as a man not as anything. How is it not disputed? Do you actually know pf any concreat proof of Jesus existing? Jesus never existed. Prayer might make one feel better ,but it’s a waste. I respect your view Gretchen, thanks for taking the time to read and comment. I hope in some way this article blessed you. Thank you, Chris!! A group of us has been discussing this very issue. We have prayer warriors, prayer teams, prayer ministries, prayer chains, prayer vigils, and even Elders to pray over the sick as a last resort. We are told the more that pray the better. (As if one prayer just isn’t enough!) What we have noticed is that, for those in the most need, the miraculous just doesn’t happen. Our conclusion: Prayer doesn’t change things. It changes us. Prayer is how we share our heart with God, take time to listen to His Spirit and find His peace in times of pain. When we pray for others it is how we share one another’s burdens. Through the cross God has given us the ultimate, perfect answer to all of our prayers. We even asked, “What if when Christ said, ‘It is finished” the ultimate and final (prior to His return) God intervention on Earth was done. Your words have encouraged us and helped us to believe that perhaps, we are not really heretics after all. Randy, so great to receive your comments and reflections, thanks for taking the time to thoughtfully read my article and your journey. I am so honored that this article has served to encourage you and others! Thank you, your comment blesses me! Such a timely message, as I have been struggling with my concept of prayer lately. So much of the current discussion sounds like superstition to me — “if we hadn’t prayed, that car accident would have been so much worse!” What you propose here sounds so much more consistent with the rest of my understanding of who God is, but I will have to keep thinking about this. Tough to wrap my head around this understanding of how we are in the Trinity. Carol, thanks so much for adding to the conversation and for taking the time to wrestle with this article. I am glad this article affirms much of what you have been discovering. As far as the Trinity, for me at first, this kind of awareness went against everything in my mind but rang true to something deep in my Spirit. The more I listened, the more this understanding resonated with Scripture and His mind within me. So great to be walking this journey with you. This essay is a good answer to the folks who obsess over not having prayer before football games, or in school, or at graduation ceremonies. It seems that if someone feels a prayer is required, why can’t they pray on their own? Or is it only a good prayer if the governmental authorities create a mandatory climate of “voluntary”, official-led prayer? Or perhaps, just to get all conspiracy-speculationist here, this is how some folks can tell if someone is on the right side? I once read in an article that prayer isn’t intended to get God to act externally on our behalf as if He is filling orders at a drive thru restaurant based on what we want or don’t want. Rather, prayer is for us. Prayer is to lift up, encourage, strengthen, and activate the Divine we already possess within us. I believe prayer is synonymous with meditation which can bring peace, healing and mental clarity. How it truly all works is still a mystery to me but it works for me. These days I have no cut and dried idea of what prayer is. As a writer and poet, one thing I have come to appreciate, is that the hundreds of poems I have written are some sort of public ongoing dialogue with self, God, Jesus, Spirit and all of the above. I was, for many years, sprinting around the rabid circus of fundamentalist revivalism. A dedicated missionary for 25+ years. Then grace. Somehow writing helped me untangle all my warped spiritualities, and now connects me to a greater reality. My flurry with words, especially over the last four or five years, has been a subtle one, involving what I call, cryptic autobiography (and yes, I do gravitate to the confessional poets, Sexton, Plath etal. ; the nature-empathic words of a Mary Oliver or a David Whyte; and some of the English Romantics). “Tell me, what is it you plan to do/With your one wild and precious life?” writes Oliver. I am still not sure what magic she employs to cram so much meaning into so few words. I have found a morbid interest in unearthing, decoding, and uncovering what relics of thought and enduring beliefs lie beneath my thick-skin of soul. It empowers. And in some strange way, those parts of my psyche that want to be a revolutionary, even if it is a pacifist-revolutionary writing in code, seem to be able to express this holy and shattered elegance in a voice I am just beginning to hear. Stephen, so great to read your comment. Thanks for taking the time to read my words, I have enjoyed reading yours. When I write, I feel like I write best when I am giving release to what is emerging inside of me. My friend Baxter Kruger says that’s the Trinity bursting from within. Thanks again for reading and commenting. Powerful reply, Stephen ~ your use of words and thoughts encourages deeper thought and discussion. The most powerful line for me, in a posting of powerful lines, “Then Grace.” Thank you for sharing this! After 20 years I am finally getting a clearer picture and it certainly brings more peace and freedom. I’m no longer striving, simply believing. Well said, Tammy! Well said! Thank you for this. I have felt like I’ve gone through a crisis of faith related to this. 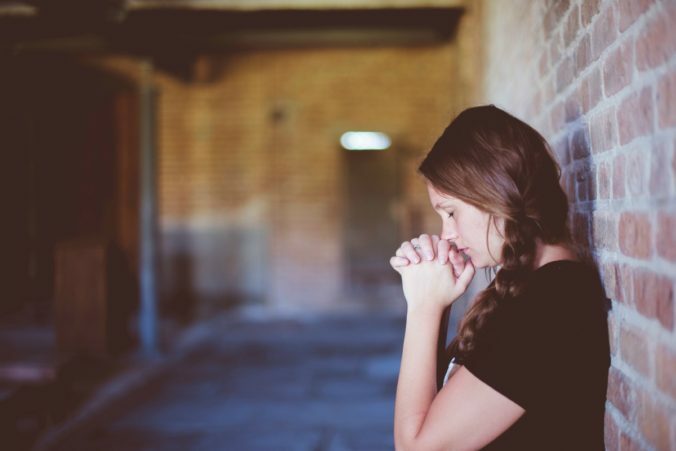 God not answering specific prayers around infertility and then a non-Christian abusive person in my family ‘accidentally’ gets pregnant… really? Is God not giving me a gift I desperately want, and giving it to someone who will not appreciate it instead? right in front of my face, no? That’s just the nature of this broken world. Nothing is as it should be in this chaotic life. The gift God gives me is the peace of knowing I will be ok no matter what happens in this life. The peace the surpasses understanding is the miracle. We so often want the miracle to be circumstances changing. Sometimes they do. Sometimes they don’t. It is not transactional. God is renewing our minds, not our circumstances. Kelly, so beautifully said. Such great thoughts in your comment. Thanks for reading and taking the time to add to the conversation! Absolutely beautiful. The first half reads like Ecclesiastes. The second half reads like the beginning of Ephesians.